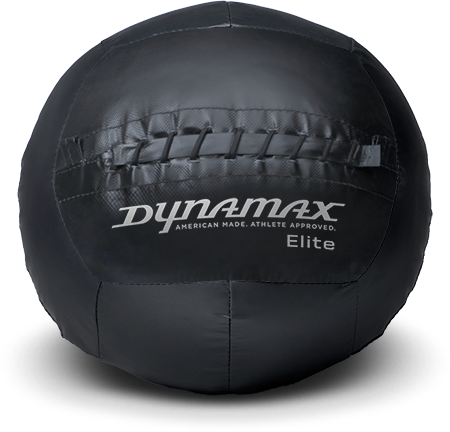 Developed with NFL offensive line coaches, the Elite Medicine Ball has been specially constructed to handle more weight and take more contact. Ranging from 8lbs up to 30lbs, the Elite Medicine Ball sets an exceptional standard, aiding your training program no matter your fitness level or goals. Decked out in all black, the Elite Medicine Balls are created with a triple stitch seam of which is not shown in the photo. Engineered with military grade materials and its reinforced construction create sturdy professional grade performance, readily available for anyone from a beginner to professional athlete to take their workout #ToTheMax.